No stress, no over the top Christmas decorations, but a Christmas as it should be: enjoying a relaxed time with family and friends. 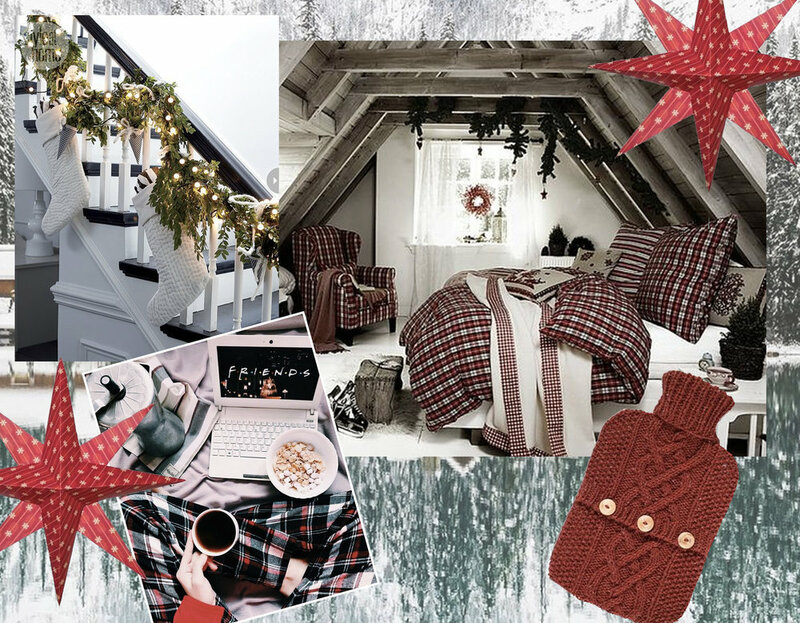 And than you think: I don’t have an attic, me neither, but the attic came to my mind as a place which is not for everybody to visit, is only for family and close friends. And this could be wherever in the house. It should be the place or corner in your home where you can be just who you are, alone or with loved ones. We don’t have to set up a big Christmas tree to get in the holiday ambiance, just a few things can bring in the spirit. 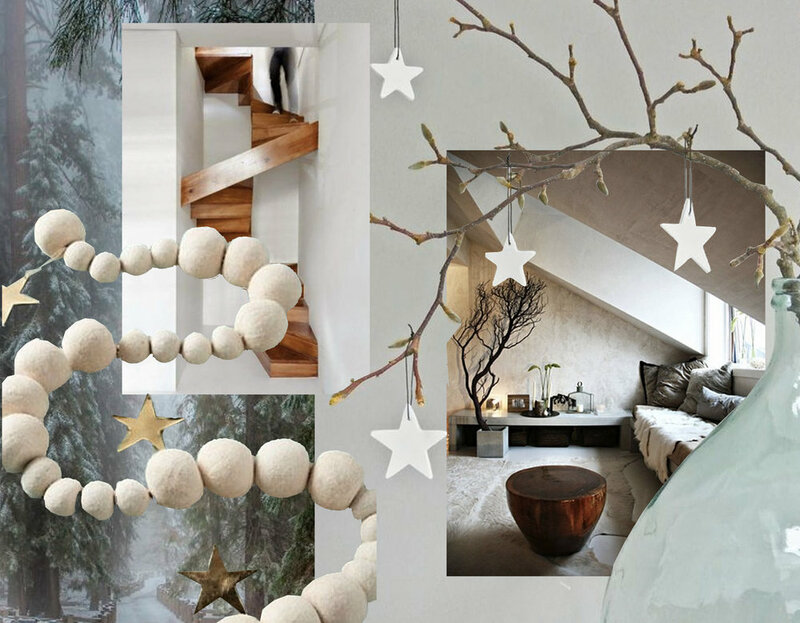 Keep it simple in white tones, warm materials and let is sparkle in a simple way by adding some stars. Make place for some extra guests who will come over to your place to celebrate with you in a relaxed way. If you have some kids coming over they can help you putting up the decoration, which you can make yourself on a Sunday afternoon. All around the table with a glass of mulled wine. Believe me it is fun, I did it last week with some friends in their mountain house, I never had a better time preparing for the Christmas period. It is a perfect time to have dinners around a decorated table. 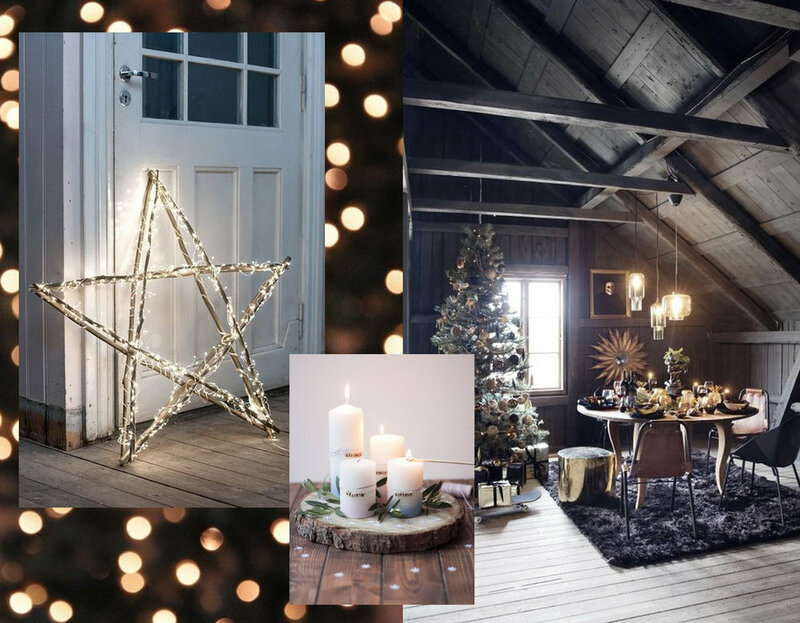 Add candles and twinkling stars to lighten up the dark days of the month of December. Greenery cut in the garden, wood branches and other wooden objects will add a rustic touch to your table setting. Back to nature, back to the roots. 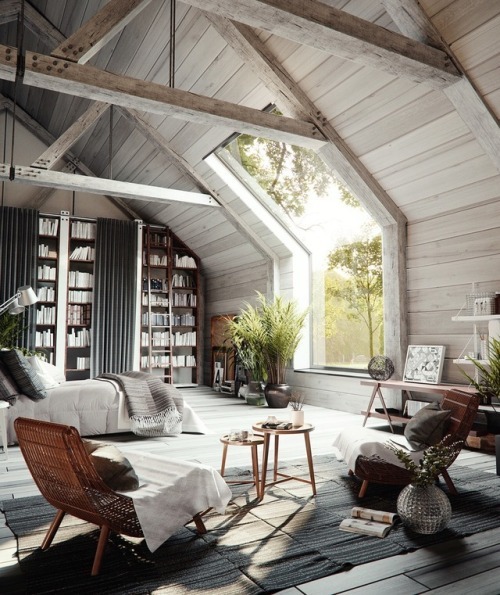 It is the perfect time of the year to take that pile of books and get cosy in your reading corner. Nobody will disturb you with work related mails or phone calls, this is exactly the period that everybody take a long break or holiday. Make it a time for you, to dream away. And why not, take a note book and write down your goals for 2019, it is time to get organized. The days are short, the nights are cold. This weather is inviting you to stay even longer in bed, or are you planning even a day in pajama? 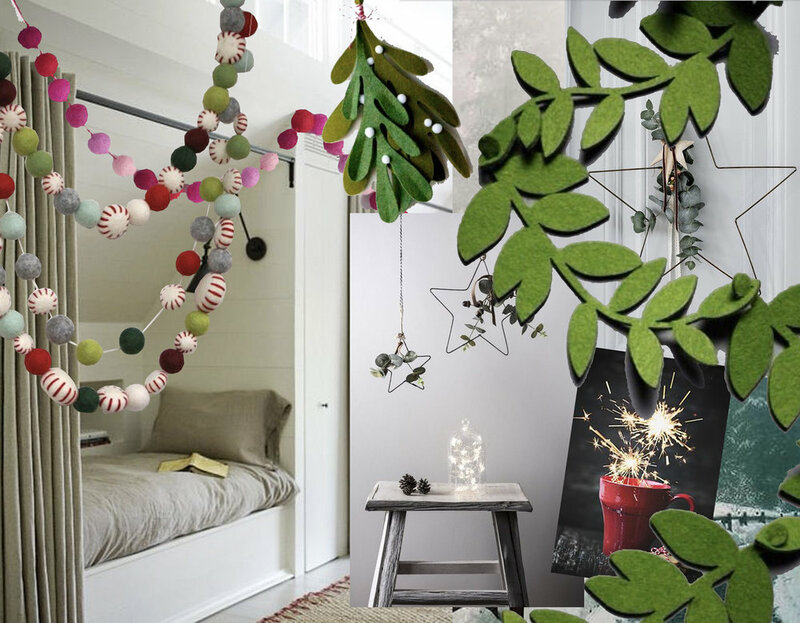 Nothing more Christmas like as red - green - and white combinations. What are our plans for the Christmas period?